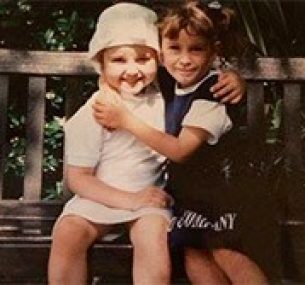 Hollie was diagnosed with leukaemia when she was just four years old. She was a bright, sweet and funny girl, who touched the hearts of everyone she met. Hollie enjoyed attending events organised by Children with Cancer UK. After bravely battling leukaemia, Hollie recovered and we were delighted when she chose to volunteer with us as part of her work experience. Sadly, 17 years after her first diagnosis Hollie relapsed and tragically died 10 months later in October 2014, aged 21. A Night with Hollie was a wonderful occasion that allowed family and friends to come together and remember Hollie, whilst also raising vital funds for Children with Cancer UK. As well as a firework display and a DJ there were two raffle draws. Prizes were kindly donated by Ant and Dec, Woburn Safari Park and Ladbrokes PLC, to name just a few. The spectacular Grand Raffle prize was a trip for two to New York, courtesy of Virgin Airways! 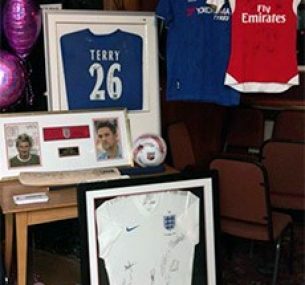 There was a silent auction, full of sports memorabilia donated by the England Football Team, the Sri Lankan and England Cricket teams, Manchester United FC, Chelsea FC, and many more! Special edition customised glitter glasses were sold by Glamour Glitz. The evening was a huge success and raised a fantastic £5,470. This will help us fund life-saving research into the causes, prevention and treatments of childhood cancer. Hollie Robinson was our friend. We’re deeply saddened by her passing and our thoughts are with her family and friends at this time. Hollie was a bright, sweet and funny girl, who touched the hearts of the people she met. Over the past 10 years Hollie and her family have attended many of our events. She even worked in our offices at Great Ormond Street as part of her work experience and had kept in touch. She showed great courage through her treatment for leukaemia. 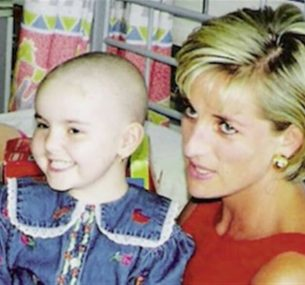 It’s desperately sad that, not only did leukaemia return so many years later, but this time it took her from us. A most sincere thank you to everyone who supported the event and donated so generously. Thank you also to everyone involved for their hard work in organising the evening. Special thanks to Hollie’s family and friends, Clare Robinson, Dannie Lloyd, Becky Murray, Linda Lloyd, Corrine Robinson, Abbey Holley and Hayley Self. Thanks to Ladbrokes PLC for their generous contribution of £500.